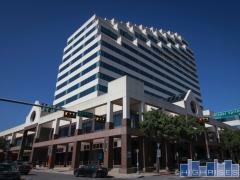 The Metropolitan Club is an intimate mid-rise located adjacent to the fabulous Hotel ZaZa. In the mood for dinner at Dragonfly but don't feel like dressing to impress? Then have it brought to your condo! At the Metropolitan Club you have access to everything that ZaZa has to offer. There's also a private resident roof-top deck and you have access to the hotel pool and spa. Have any comments or questions about Metropolitan Club at ZaZa? Ask your question and/or share your thoughts about this Building.